Cool, comfortable knee-length lab coats save laundering nuisance and expense. These lab coats provide comfortable all-day protection from airborne splatter and debris. Static-free, fluid-resistant SMS fabric is autoclavable and can be washed up to five times. 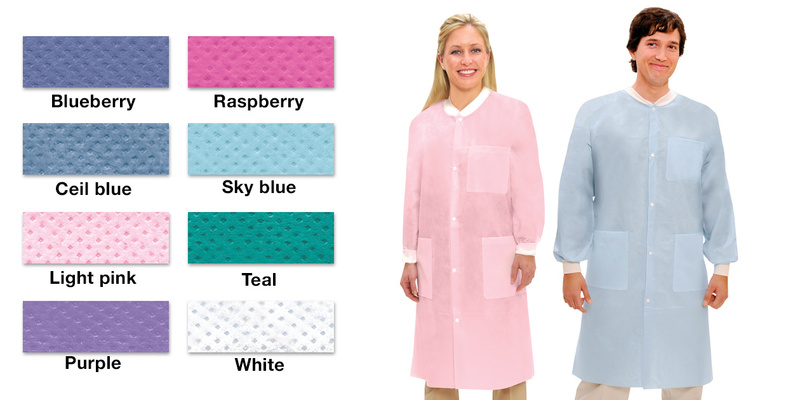 ValuMax lab coats offer soft knit collars with snap-front closure and three front pockets. Circular knit cuffs provide a comfortable seal. Fire retardant and latex-free.